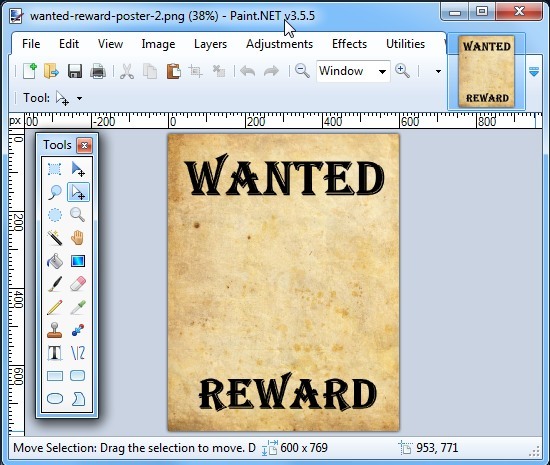 Students use a photo editing program to create their own "Wanted" Poster. 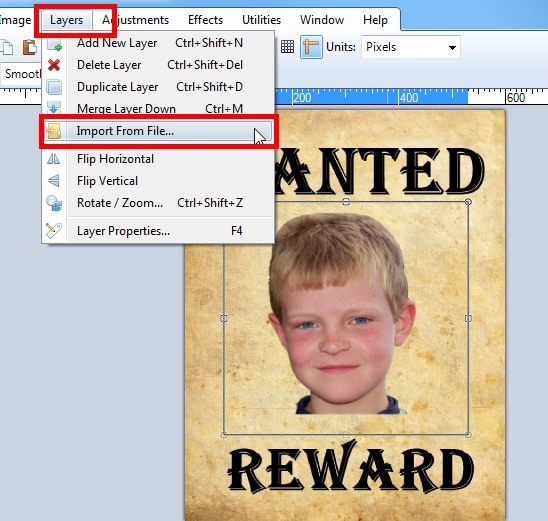 Students combine their headshot picture with a blank "Wanted" poster background picture. 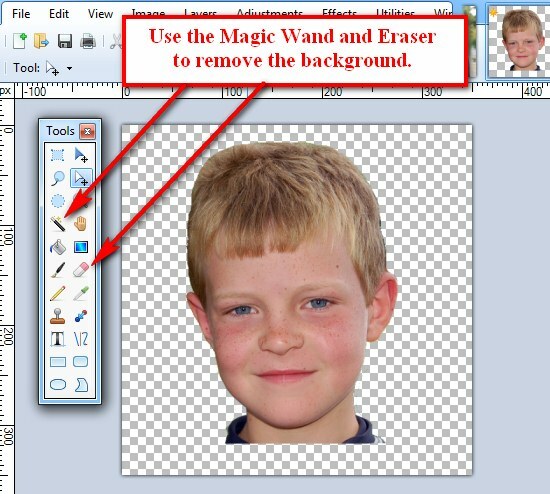 Students will use various common photo editing features and tools including the cropping tool to crop their headshot, the magic wand and eraser tools to remove the background from the headshot picture, and the layers feature to place the headshot on top of the background layer. 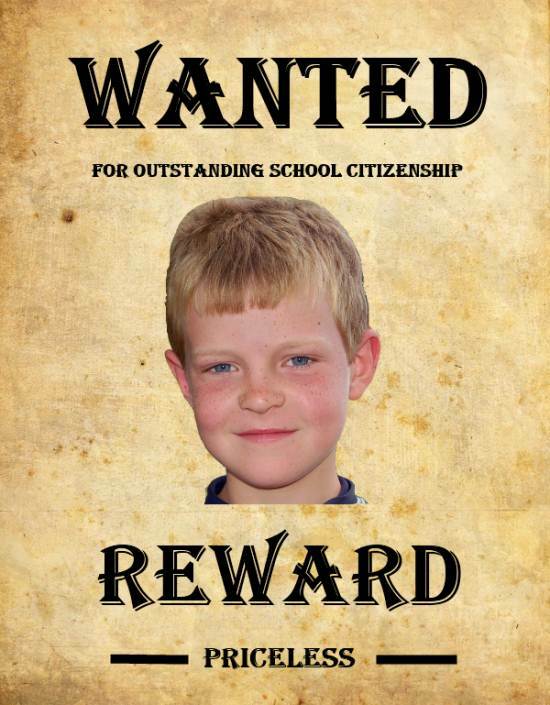 This finished example uses two combined images, a headshot image and a "Wanted" poster background image. 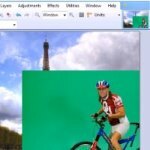 Students can use the photo editor to add their own text. The finished example could be printed or uploaded to a website or photo gallery. These make great wall displays for open house. 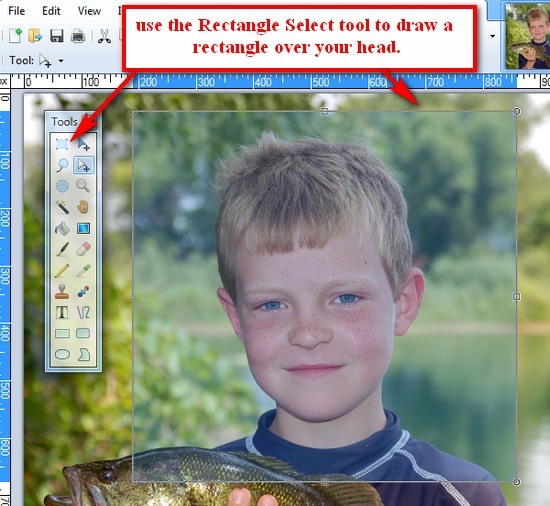 Draw a rectangle around the head with the "rectangle select" tool and then crop the head. You can use the menu or the shortcut Ctrl + Shift + X. The areas that are clear are shown by the white and gray checkerboard pattern. 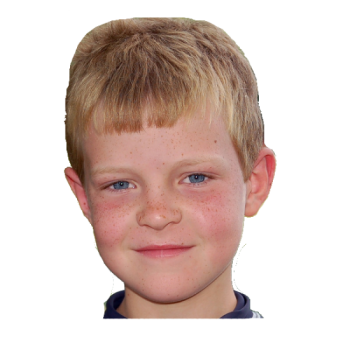 Save the picture of your headshot with the clear background as a .png file to your "My Pictures" folder with your name on it "robert-canlian-headshot-clear.png"
It is important to save the headshot as a .png file, it will retain the clear background. 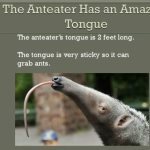 A .jpg will not. 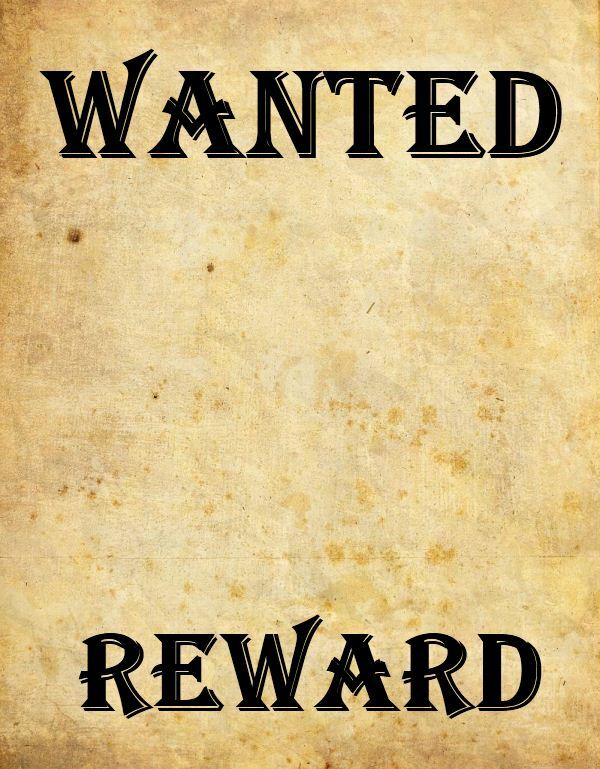 The headshot picture is added as a layer on top of the "Wanted" poster. 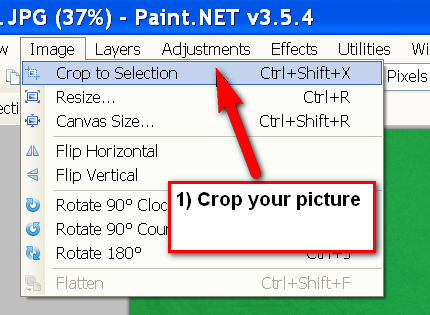 You can resize the headshot picture by grabbing the corners or sides of the rectangle. 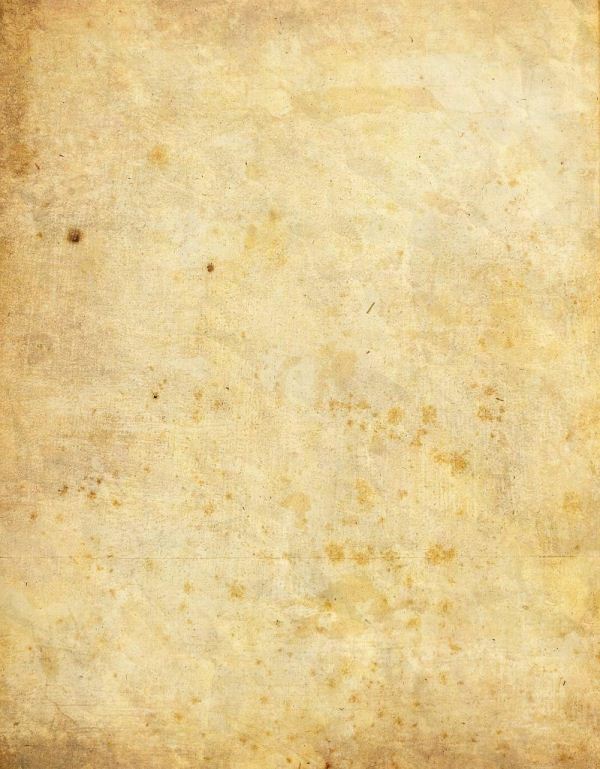 Save the finished "Wanted" poster to your "My Pictures" folder. To download: Right click and "Save picture as..."
The font used for the "Wanted" poster above is Algerian.